Managing God’s resources with integrity lies at the heart of our financial processes. Chapelstreet Church takes many steps to ensure that the funds received are protected against loss, accounted for properly, and spent wisely. Continuous review and improvement in all areas is our standard operating process. Chapelstreet Church is accredited through the Evangelical Council for Financial Accountability (ECFA). 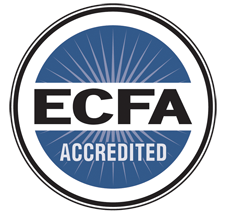 The ECFA provides accreditation to leading Christian nonprofit organizations that faithfully demonstrate compliance with established standards for financial accountability, transparency, fundraising, and board governance. Our Finance team brings decades of experience in the financial field, including having served in private sector CPA, CFO and payroll and accounts payable roles. We use the best in church financial management software, which provides quick visibility into statements and accounts and eases the reconciliation process. Timely and accurate monthly financial statements are the end result. We use recommended processes and controls when handling our resources such as ushers’ use of sealed offering bags, involvement by at least two people when handling checks and cash, all checks and cash are stored in safes pending deposit into our bank accounts, all checks are scanned and electronically deposited in our accounts on Monday mornings, safes are always opened by two people (and no one person has all keys needed to open a safe), checks are kept secure, signed payment vouchers with receipts or bills accompany all check requests, check signers must be authorized by the Executive Council, and security cameras are used where checks and cash are manually handled. We use one of the nation’s top church accounting firms, Capin Crouse, to perform an annual audit of our financial systems and year-end statements. Improvements to our accounting practices and financial processes are made based on feedback the firm provides. The Executive Council appoints a committee that meets on a regular basis to review a variety of financial issues and provide advice and counsel to our Finance team. The committee includes private sector CFOs, a banking professional, an attorney, and business leaders. Our annual budget is developed by senior leadership, reviewed and approved by our Executive Council, and then approved by our membership at the annual business meeting in August. Chapelstreet Church operates on a September 1 through August 31 fiscal year. Questions about our financial operations or to review detailed statements? Please contact our Controller, Fred Morris, at the church offices or at fmorris@chapelstreetchurch.com.